1. James I KING OF SCOTLAND, son of Murdac, Duke of Albany ( - ), was born in December 1394 in Dunfermline Abbey. He married Joan BEAUFORT on 2 February 1424 in St. Mary Overy, Southwark. He died on 21 February 1437. He died in 1437. James II KING OF SCOTLAND (1430-1460). 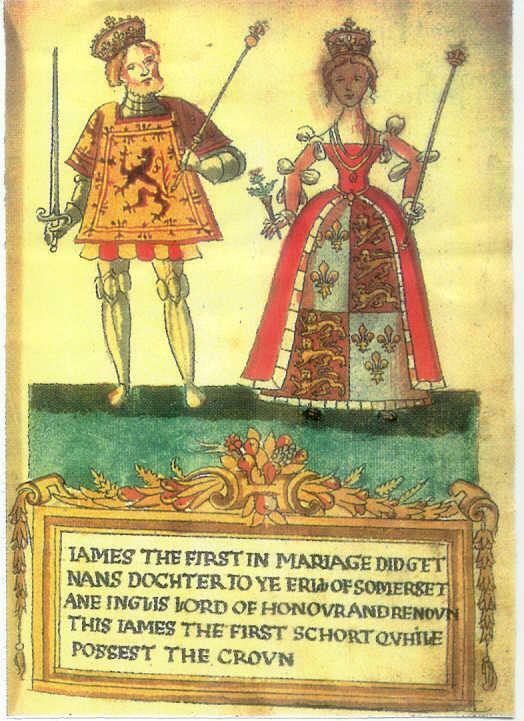 James was born on 16 October 1430 in Holyrood. He died on 3 August 1460 in Roxburgh. 2. Murdac, Duke of Albany was the son of Robert Stewart, Duke of Albany 1st Duke of Albany and Margaret GRAHAM. 3. Robert Stewart, Duke of Albany 1st Duke of Albany, son of King Robert II Stewart KING OF SCOTLAND and Elizabeth of Rowallan Mure, was born circa 1340. He was born circa 1340. He had the title '1st Duke of Albany, Earl of Fife'. He had the title 'Earl of Fife, Duke of Albany'. He died on 3 September 1420 in Stirling Castle. He was buried in Dunfermline Abbey. He married Margaret GRAHAM. Marjory (Marcellina) STEWART (1370-bef1432). Marjory was born in 1370. She died before [Julian] August 1432. Isabella STEWART (bef1380- ). 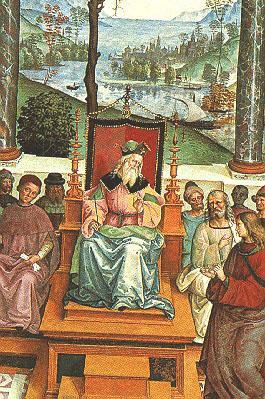 Isabella was born before 1380. She married Walter HALIBURTON between 1402 and 1408.